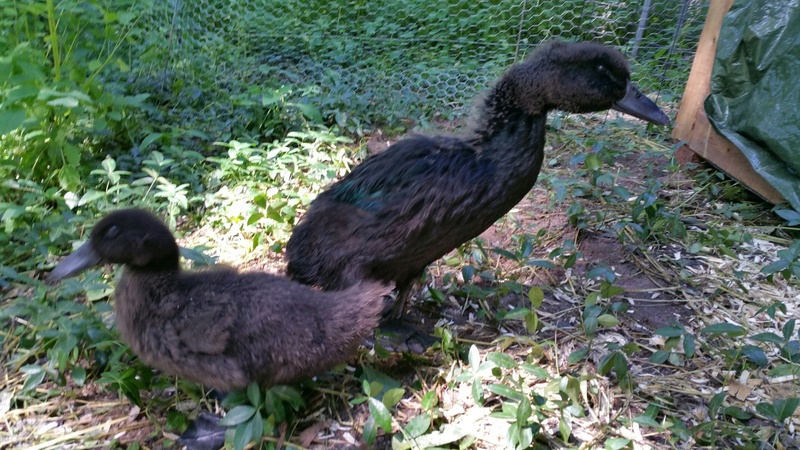 We chronicled the loss of the blind little duck, Helen, several days ago. I am sorry to report that her bigger friend, the lame duck, Forrest, also fell victim in broad daylight to raccoons. We had kept him totally shut in after Helen’s loss but he seemed so morose (I don’t know what kind of feelings that ducks have but he did seem to be missing her terribly) that I thought that I would let him out into the fenced pen area for a little while Tuesday evening while we were home having supper. It was still light, we were home and would certainly hear if anything happened (the kitchen window is just above the duck pen). But, a sudden heavy rain shower and strong wind drowned out any sounds and delayed my going out to lock him up. When I went out, Forrest was missing. In the morning I found his remains and it seemed clear that one or more raccoons had killed him. So, sadly, our first experience with farm animals has ended. We will wait to get any more animals until we have proper infrastructure to protect them day and night. Forrest (right) and Helen (left) in their protected run several weeks before they were killed.